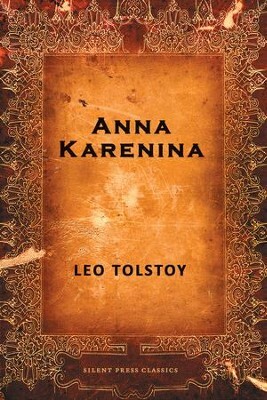 Called by Time the “greatest novel ever written,” Leo Tolstoy’s Anna Karenina is the brilliant and tragic story of a young married aristocrat and socialite Anna Karenina being torn between her duty as wife and mother and her affair with a handsome count. One of the greatest Russian writers of the 19th century, Leo Tolstoy is best known for his novels The Cossacks, Resurrection, War and Peace and Anna Karenina, which are considered to be among the best examples of realistic fiction ever written, as well as non-fiction including A Confession and What Is Art?. In addition to his writing, Tolstoy was known as a moral thinker and social reformer who embraced ascetic views in his personal life, and his writings on non-violent resistance, particularly The Kingdom of God Is Within You, influenced such notable activists as Mohandas Gandhi and Martin Luther King, Jr. Tolstoy died of pneumonia in 1910, leaving behind a rich literary legacy that has been translated around the world and adapted for many international films. I'm the author/artist and I want to review Anna Karenina - eBook.